An on-site restaurant and lounge a pool and hot tub business and fitness centers and spacious suites are definite guest-pleasers at the Sheraton Suites Columbus. This non-smoking hotel has 259 suites on nine floors all featuring a crisp navy blue and white decor Sheraton Sweet Sleeper bedding and separate sitting areas with sofa beds. 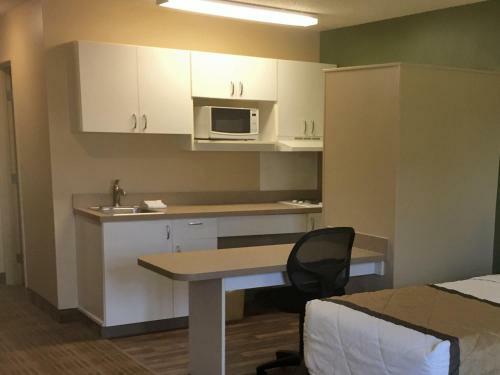 Amenities include refrigerators coffeemakers flat-panel TVs with pay movies. Wi-Fi is available for an additional fee and pets are allowed to keep you company. There's no excuse for not exercising with the hotel's fitness room indoor pool and hot tub as well as the outdoor pool where there's also a sundeck for relaxing afterward. Enjoy breakfast and dinner at the on-site restaurant or opt for light fare and a drink in the evenings at the lounge. Conveniences include a business center and an ATM. 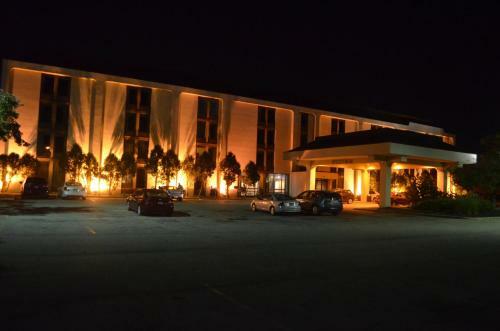 The hotel off I-270 15 miles from downtown Columbus and the Ohio State Capitol. Recreation and shopping are within five miles at Polaris Fashion Place and Magic Mountain Fun Center. A 20-minute drive takes you to the Columbus Zoo and Aquarium Wexner Center for the Arts Ohio Expo Center and COSI (Center of Science and Industry). 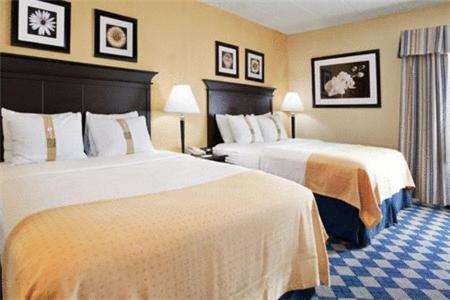 Port Columbus International Airport is approximately 16 miles from the Sheraton.